Butcher’s fight is part of a big card live on iFL TV in Glasgow, with exciting stars Kieran Smith, David Brophy, Michael McGurk, Lewis Benson, Reece McFadden and Jack Turner also in action. 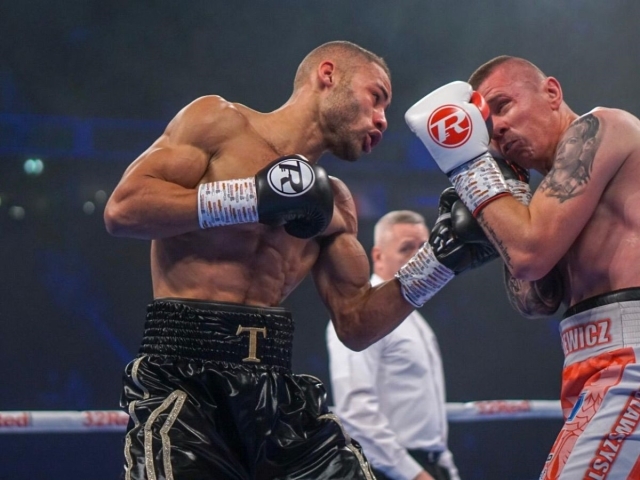 Undefeated star Troy Williamson hopes his patience will be a virtue when he returns to the ring at the Leicester Arena on Saturday. Williamson (8-0-1-KO5) is set to face Yasin Hassani on the bill in Leicester, and the man known as ‘Trojan’ is looking forward to showing that his extended stay inside the gym over the last few months has worked out well. Williamson said: “I’m looking to start the year off with a bang. Preparations have been great training wise, as I stayed in the gym all over Chistmas and the start of the year while I was patiently looking for a date. “We’ve finally got one and now I’m excited to be fighting. I’ve been in camp for about eight to ten weeks now, so I’m looking forward to putting it all into play on Saturday. “My opponent looks durable and has got a winning record, but he doesn’t seem to be the biggest of middleweights so I’ll be showing my size and strength in the ring on Saturday, and over the eight round distance I’m confident of getting him out of there. The bill in Leicester is also set to feature another undefeated star, with Sam Maxwell scheduled to make his return to the ring. Undefeated former WBC world youth champion Michael McGurk is ready to step up his title hunt on Friday’s #MTKFightNight in Glasgow. The Uddingston starlet (11-0) faces the tough Evaldas Korsakas, who saw a run of six straight wins ended by McGurk’s MTK Global team-mate Kieran Smith at the same venue back in November. With the iFL TV cameras rolling, McGurk is planning to send a clear statement of intent to the rest of the light-middleweight division. He said: “I’m a firm believer in my own ability and I would fight anyone in the division. There isn’t anyone I particularly want to name but I want titles as soon as I can get them and I’m willing to fight anyone to get those titles. The sooner, the better. “The iFL TV platform is exactly what Scottish boxing needs right now. We’ve been missing the exposure up here for years and now that’s here, I aim to make the most of it and show everyone what I’ve got. “I can’t wait to fight in front of my home supporters again. They always make plenty of noise and it gives me that extra boost you sometimes need in fights. I like to entertain them and I plan to doing that in every fight. Joining McGurk on a busy bill is unbeaten world-ranked compatriot Smith along with the likes of Commonwealth Games medalist Reece McFadden, Iain Butcher, Lewis Benson, David Brophy, Jack Turner and more.